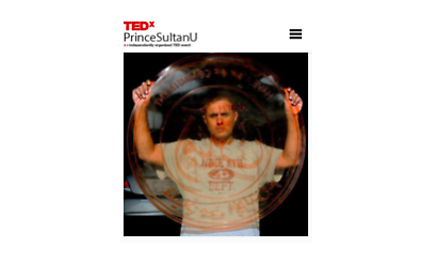 Abdulnasser Gharem will be presenting a TEDx talk on the theme, “Be inspired...To inspire” on Saturday 3 May at Prince Sultan University, Riyadh, Saudi Arabia. The artist will discuss his artistic career as well as his role in facilitating opportunities for emerging artists in the region. TED is a nonprofit devoted to spreading ideas, usually in the form of short, powerful talks covering topics from science to business to global issues in more than 100 languages. Independently run TEDx events help share ideas in communities around the world. Abdulnasser Gharem is a conceptual artist who operates over a multitude of fields, challenging the perception of art in his native Saudi Arabia. His work comprises of photography, video, performance and sculpture, examining modern day life. In his performances he playfully uses the street as a canvas to construct a social critique. His performances have welcomed collaboration, involving the community within his projects. As a Lieutenant Colonel in the Saudi Army, themes of control and authority can be felt within this work, as well as a desire to preserve and respect the history upon which traditional art is built. Gharem therefore presents conceptual work that not only harks upon heritage but is politically and socially astute.